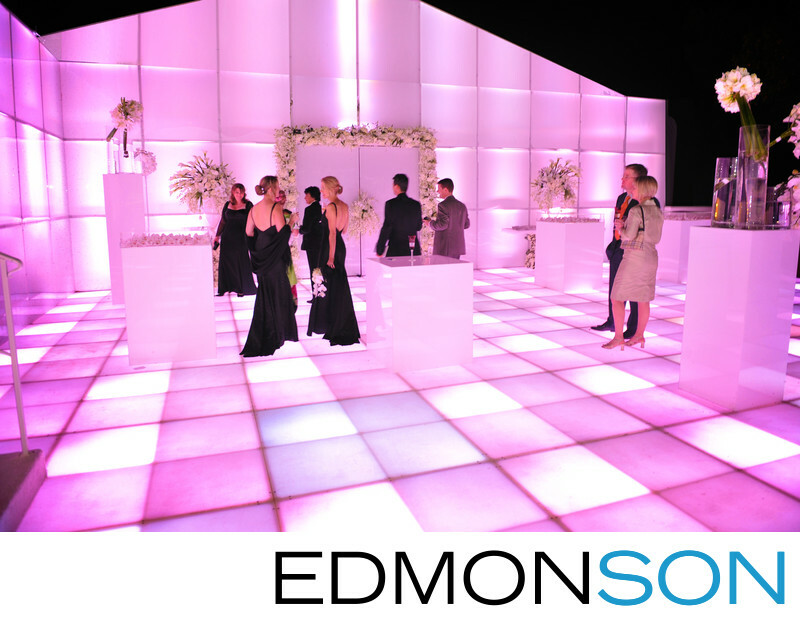 Guest enter custom tent with LED floor panels at luxury Dallas Arboretum wedding. Wedding coordination provided by Mary-Frances Hurt of DFW Events. Set design by Nelson Robinson of Stageworks in Ft. Worth. 1/25; f/4.0; ISO 800; 24.0 mm.